TJARONN Chery’s goal-of-the-season contender wasn’t enough to secure all three points for Rangers, who were pegged back after initially leading in W12. QPR’s top scorer registered his fourth league goal of the campaign thanks to an outrageous 30-yard free-kick effort in the 65th minute. 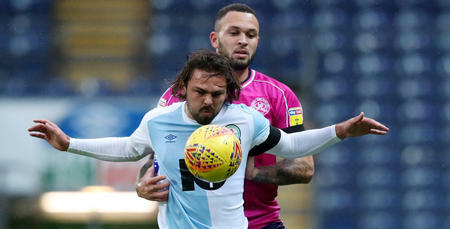 But the Dutchman’s blockbuster was cancelled out 17 minutes from time, as Rovers – still winless in the Championship thus far – levelled through Sam Gallagher in what was a mostly-scrappy affair. Hoops boss Jimmy Floyd Hasselbaink made two changes to his side following our 1-0 victory at Wigan Athletic two weekends ago. Yeni Ngbakoto missed the visit of Blackburn due to a family bereavement, while Massimo Luongo wasn’t risked owing to his recent international commitments with Australia. So Nasser El Khayati and Olamide Shodipo were drafted into the starting XI. QPR, in their usual 4-2-3-1 formation, lined up with Alex Smithies in goal, behind a back four of James Perch, Nedum Onuoha, Grant Hall and Jake Bidwell. Karl Henry and Jordan Cousins took on the central midfield roles, with Shodipo, Chery and El Khayati deployed behind striker Seb Polter. Visitors Blackburn had the better of the early chances. 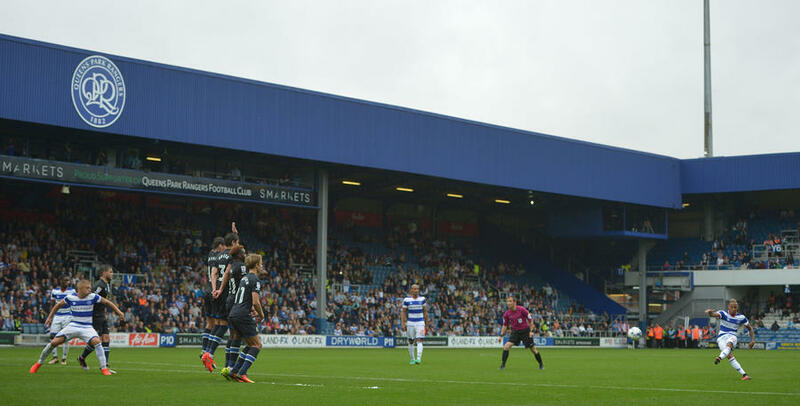 As the rain lashed down at Loftus Road, both Danny Graham and Hope Akpan went close for Rovers. Rangers improved a little after that. In the 15th minute, Perch’s fierce drive from the edge of the box flew just over the bar. But, in the main, the first half made for a very-close contest. Clear-cut opportunities were extremely limited and, much like the weather, it wasn’t pretty. The R’s did look to finish the half in the ascendancy. After advancing down the right flank, Perch pulled the ball back across the face of goal in the 41st minute. However, both Gordon Greer – and then Polter – missed their kicks. At the other end, the home side had Bidwell to thank for clearing off the line on the stroke of half-time, after Gallagher’s header from a corner looked to be heading in. Hasselbaink decided to freshen things up at the break. It was all change up front, as Conor Washington replaced lone striker Polter. Rangers should have been ahead only three minutes after half-time. Chery’s lovely ball over the top was followed by an equally-impressive touch by El Khayati – but he could only shoot straight at Jason Steele from 10 yards. Blackburn twice went close just after the hour mark. First, Smithies tipped the ball around the post from Corry Evans’ volley in the 63rd minute. That was before Bidwell produced his second goal-saving block of the match from the resultant corner, after a scramble ensued in the box. Two minutes later, Rangers took the lead courtesy of Chery’s stunning solo effort from a free-kick. QPR’s leading marksman had no right to beat Rovers’ Steele from fully 30 yards. But he did just that – curling home in sublime fashion via the underside of the bar. Soon after, it was almost two. In the 67th minute, Washington eventually broke free of the visiting defence after Chery’s dinked assist, only to be denied by Steele thereafter. 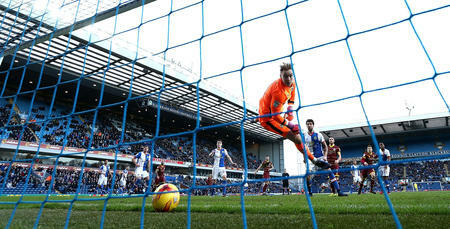 To their credit, Blackburn responded well – twice going close before eventually equalising in the 73rd minute. Evans’ cross was met by Gallagher, whose header looped over Smithies and in. In response, Hasselbaink threw on recent capture Idrissa Sylla for his QPR debut 10 minutes from time. He replaced El Khayati. And Sylla should have won it for Rangers in the 89th minute. He found space in the box – but was thwarted by Steele at point-blank range. That proved to be the last real chance of note, despite four minutes of second-half stoppage time. 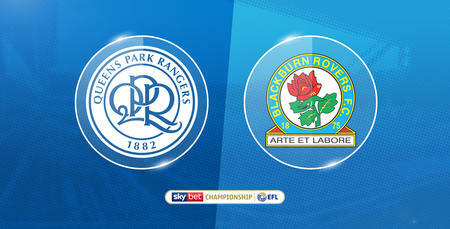 VIEW over 10 minutes of action from Loftus Road.